 Hotel Terbaik di Puncak? Why not. Hotel ini menawarkan one stop solution untuk keluarga yg ingin menghabiskan masa liburan nya tanpa harus banyak keluar dari hotel. Kesan pertama, saya begitu amazed krn hotel ini mempunyai lembah sendiri di area belakang, seperti sawah yg luas, kandang rusa, area bermain anak, resto Bebek Tepi Sawah, outbound anak dan Sungai!! Ya sungai. Hotel mana di Puncak yg menawarkan semua fasilitas di atas dan Sungai? Keramahan staf, valet gratis dan 2 kolam renang besar dan 1 kolam air hangat beserta gym yg oke, menjadikan hotel ini menjadi yg terbaik di Puncak. Must try! My wonderfull honeymoon even just for stay 1 night from the 29th of january 2019 to 30th of january 2019 on suite royal give me and my wife a very good of quality time. Very nice staff and a wonderfull on suite jacuzy fit both for couple. It's a very recommended hotel when you visit Puncak, West Java, Indonesia. It's located in Ciloto area to he exact. The building and its facilities are quite new and very clean. It has an area where you can have activities such as jogging, walking around the paddy field and river, many beautiful flowers and some animals such as rabbits, goats, deers, butterflies, the kids can take a donkey ride or try flying fox, this area is very instagramable for you to take picts with your loved ones/family. This hotel has 3 swimming pools, but only one with warm water, the other two are quite cold. On top of the hotel restaurant, there's also another restaurant within this hotel, i.e Bebek Tepi Sawah. "Room & bathroom nya nyaman banget. Banyak fasilitas untuk anak-anak tanpa harus keluar hotel, bisa bermain kids zone, naik kuda dan bermain di sawah. Rooftop cafe juga bisa jadi pilihan tempat untuk makan malam. 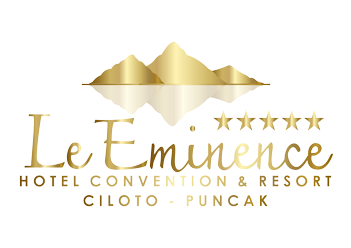 © 2019 Le Eminence Hotel Convention & Resort. Website by Mindimedia.